Framework Plus is a family-operated company in Estacada, Oregon that offers a variety of high-quality timber frame pavilion kits. 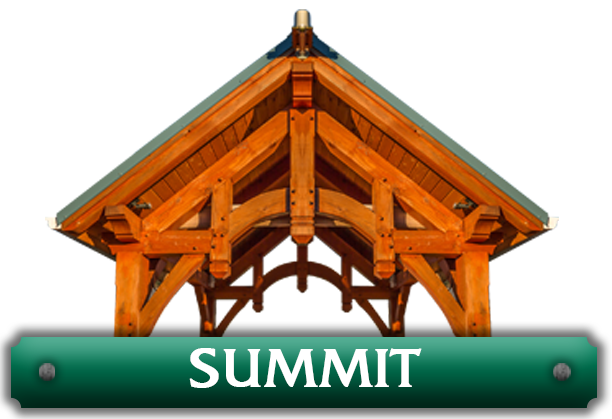 We design and build one-of-a-kind timber frame structures and building accessories for residents in the Portland area and throughout the United States. Our timber structures are custom milled and handcrafted by our small, highly skilled team of woodworkers. We will work closely with you, your architect, engineer, or contractor throughout the entire process, in order to create the custom timber frame project of your dreams. Our made-to-order kits come in four main style options and three sizing options—10’x10′, 12’X12′, and 14’X14′. Choose from our Rainier, Meadows, Summit, Alpine and Timberline models, each style offering unique design characteristics. 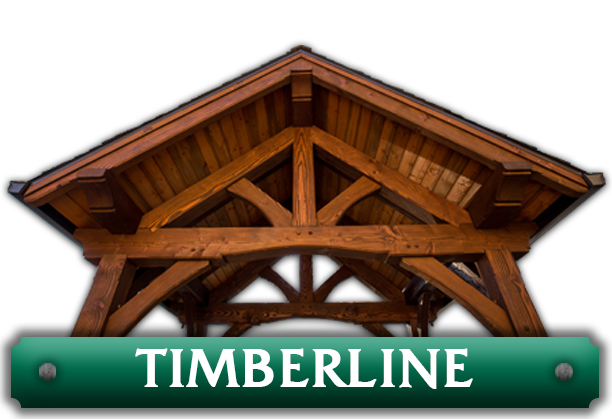 The Timberline, our most requested pavilion style, features a pair of king post trusses, the Alpine is a simple King post style bent while the Meadows option includes queen post trusses. 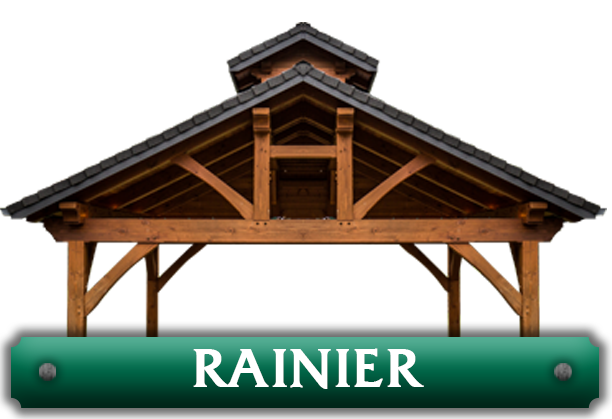 The Rainier features double ridge trusses and the Summit includes hammer beam trusses assembled using centuries-old mortise and tenon joinery. 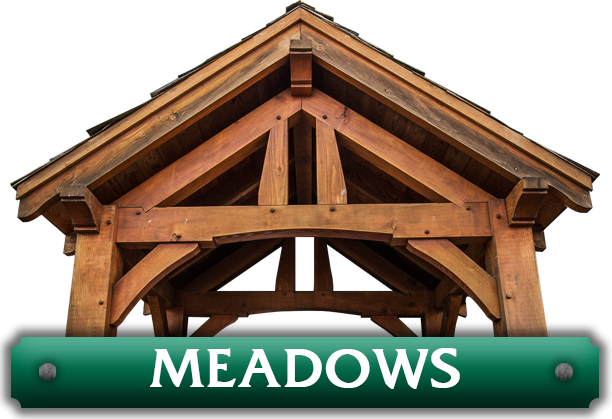 All of our made-to-order pavilions are handcrafted by our expert artisans and are made from high-grade Douglas fir heavy timbers from the Pacific Northwest. After completion, we then ship your pavilion to your job site for easy assembly. Along with our standard design styles, we can also create one-of-a-kind pavilion kits that meet your specific needs and desires. Do you need a pavilion to add to the entryway of your home? Maybe, you want a detached option to place in your backyard. Customized designs allow you to add structures to your home that will flow with your current design and fit perfectly in their designated spaces. So whether you are looking to host outdoor gatherings, add curb appeal to your home, or expand your interior space, a custom design will get the job done without compromising on the aesthetic appeal of your existing space. Give us a call today at 503.669.7063 to speak directly with a team member and to request your free quote. You can also request a quote using our convenient online option. For design and style ideas and inspiration, please feel free to browse our gallery of past projects. This pavilion style features double ridge timber trusses, handcrafted by our artisans with timbers from the Pacific Northwest. 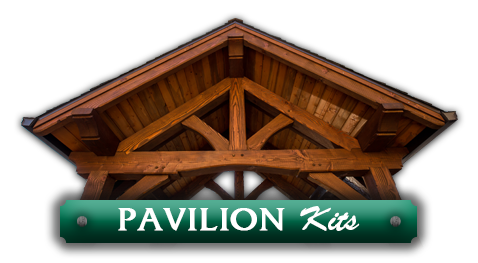 Our most popular pavilion kit, the Timberline features a pair of beautiful king post trusses, or ‘bents.’ It’s available in three standard sizes, or inquire about a custom solution. Looking for something one-of-a-kind? Our design team will work with you and your architect or contractor to fashion a unique pavilion kit that meets your needs. 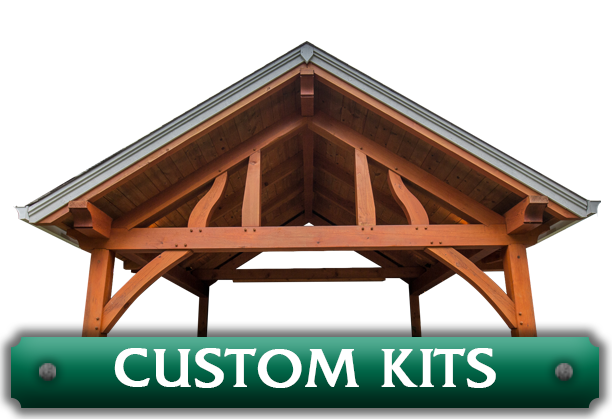 This customizable pavilion kit with queen post trusses is handcrafted by our skilled crew, then shipped to your jobsite for easy assembly. Our Alpine design is a simple king post style structure that is constructed without the struts and top cords, leaving it open with clean lines. The Alpine comes in three sizes, with the largest size having an option of an additional bent or “entry” pop out. This classic timber frame pavilion kit features hammer beam trusses assembled using centuries-old mortise and tenon joinery. This cruck style timber frame pavilion features long curved knee braces all hand cut by our skilled artisans, then delivered to you as an easy to assemble package.